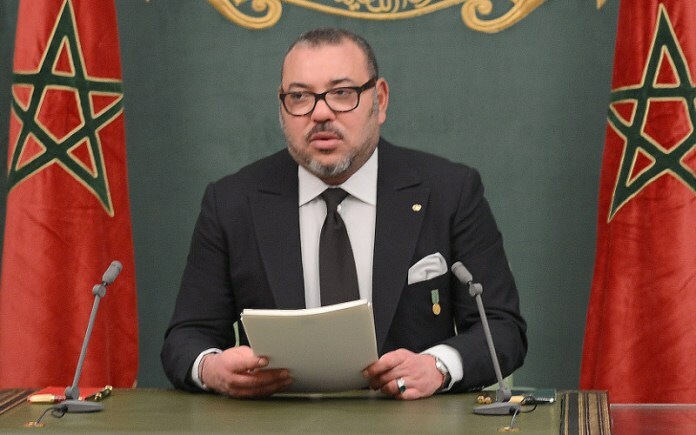 In a speech on Saturday on the occasion of the Throne Day, King Mohammed VI lashed out at the political elite, telling them they must take their responsibilities seriously or quit public office. The King’s speech heavily criticized politicians and officials, who he said have neither followed up with development policies and projects in the kingdom nor properly done their duties. “The evolution witnessed in Morocco in the political domain and in the area of development has not led to the kind of positive reaction you would expect from political parties, leaders, and government officials when dealing with the real aspirations and concerns of Moroccans,” the king said. The monarch drew attention to the “mentalities that have not evolved” to go along with this evolution. What is more deplorable in the eyes of the king is the attitude of the political elite and officials, who are more concerned with their public image than serving the nation and people’s interests. “When results are positive, political parties, politicians and officials vie for the spotlight to derive benefits from the achievements made, both politically and in terms of media exposure,” says the King. Vying for media exposure and political wins has led parties and politicians to forget their primary mission in serving the public, the king explained. Instead, the kingdom has witnessed intense competition between political actors, even in the midst of serious crises such as the one in Al Hoceima, during which elected officials and political parties from the government and opposition have kept exchanging accusations over who is to blame. The king expressed his disappointment at the growing intensity of party rivalries. As a result, citizens turn to the monarchy because politicians cannot get things done nor respond to people’s demands. The critical tone of the speech is unprecedented, although the King rebuked officials on previous occasions. This time, however, the King gave those in positions of power two choices: either they do their jobs properly or concede their positions to others willing to take their responsibilities more seriously. Not assuming one’s responsibility before God, the homeland, and the King is “treason,” said the royal speech. Facing the situation, the King stated that people can no longer derelict their duties and get away with it. The monarch insisted that Article 1 of the constitution, linking responsibility with accountability, should be “rigorously” applied.